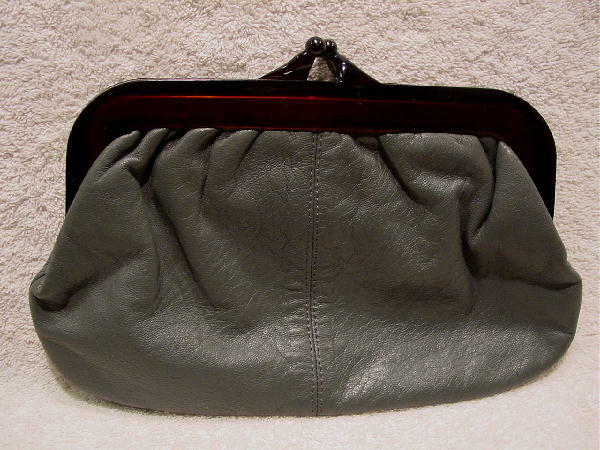 This vintage dark gray leather clutch has a lucite (plastic) multi-tone brown rim and bypass closure. 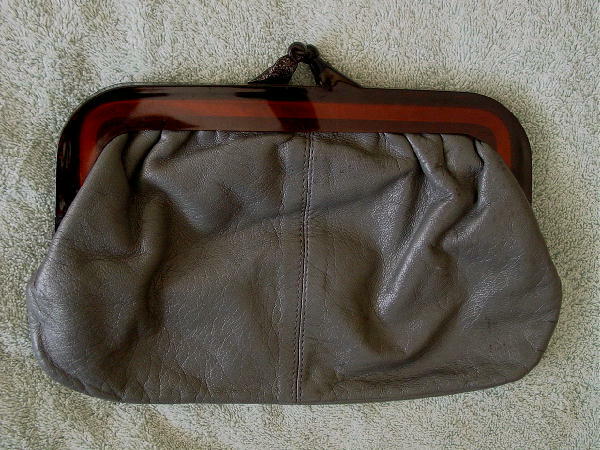 It has a faux leather bone color lining. The back side of one of the bypass closures (see the closeup picture) doesn't have the same lower curve. The front side looks fine.